Senior Caregiver Opportunities | Niagara Caregivers & Personnel Ltd.
Are you a professional caregiver with a true passion for helping people and families? If so, we would like to speak with you! We are seeking professional caregivers in the Hamilton, Burlington, Haldimand Norfolk, Niagara, Halton & Brantford area communities with families that are seeking experienced and professional Caregivers for their family. Our goal is to provide qualified, experienced Caregivers and Housekeeper Companions with families that require care for their families and loved ones. We truly appreciate our professional Caregivers and Companions. 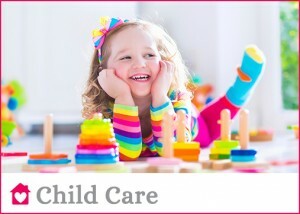 The job of a care provider is very rewarding and we work with families who truly want to find the best care for themselves or their family members and we work hard to ensure that we carefully match you with an employer that requires your unique skills and qualifications. We want your new position to be successful and rewarding. 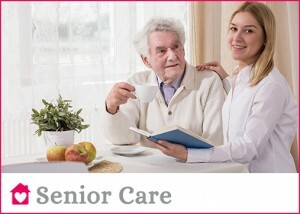 We consider the needs of our Caregivers as much as we consider the needs of our clients. We continue to provide support to the employer and employee after the successful placement. Each family is unique therefore we offer a wide range of services for our clients. Different levels of care or hours are required as is the experience and education of the Caregiver, Companion, PSW or Nurse. Your main responsibility is care of the client. Additional responsibilities may include preparing nutritious meals, light housework, shopping/errands, accompany to appointments, medication reminders or supervision, personal care, exercise, stimulating activities. It is important for the client to receive the best quality of care and feel comfortable in their home. Our Caregivers are significant to the clients overall quality of life and must provide the best care and reassure the family their loved one is safe, comfortable and receiving the best care. We do require an application and personal interview. Please contact us to arrange an in-person interview. Bring your resume, copies of references, copies of diplomas or certificates ( school, volunteer, First Aid/CPR, courses), Police Clearance and any other documents you would like to include in your profile or that will prove your experience. Being a Caregiver is not only a job, it is a valued profession. A Caregiver plays a critical role in the care and well being of our clients. You will have several responsibilities such as care provider, cook, friend and a good communicator to be able to share successful days or concerns with the family. The professional return of being a Caregiver far surpasses a weekly paycheck. As a Caregiver you end each day knowing you made a difference in someone’s day and life.